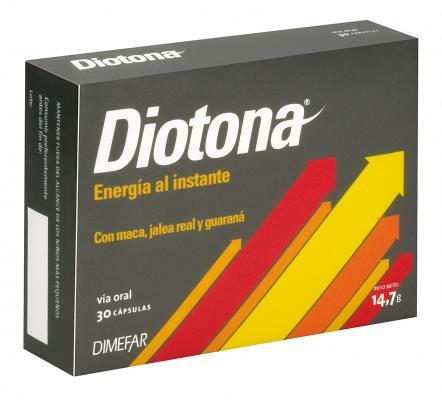 Energy Diotona of Dimefar is a dietary supplement designed to provide us power instantly. Energy Diotona of Dimefar is thought to contribute to the body all the nutrients needed to cope with any situation that requires an extra contribution of strength, energy and vitality. Ingredients: you maca, Royal Jelly, guarana, L-carnitine, and vitamins B1, B6, B12.